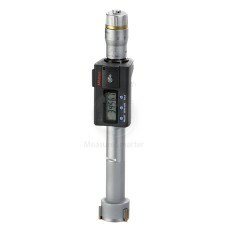 The 395-372-30 Mitutoyo Spherical Face Micrometer, 1-2"/25.4-50.8mm is on sale at Gaging.com! We are.. The 395-373-30 Mitutoyo Spherical Face Micrometer, 2-3"/50.8-76.2mm is on sale at Gaging.com! We are.. The 395-374-30 Mitutoyo Spherical Face Micrometer, 3-4"/76.2-101.6mm is on sale at Gaging.com! We ar..